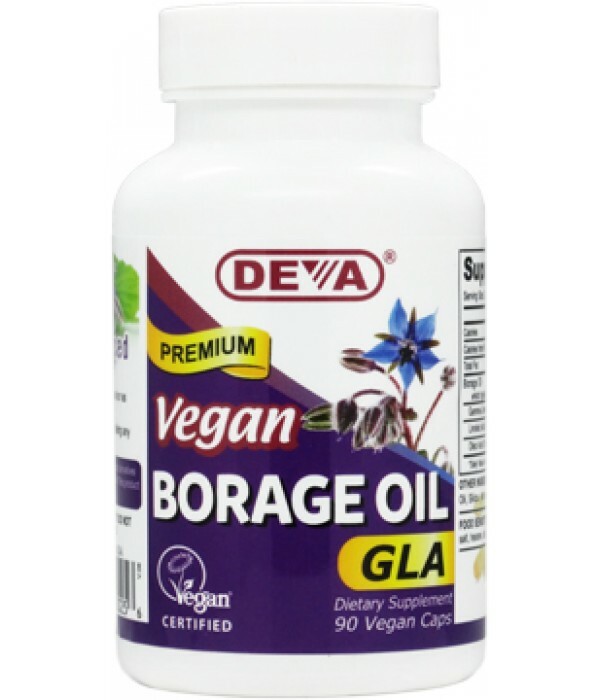 DEVA Borage Oil is 100% animal free, and guaranteed for purity, freshness and labeled potency. 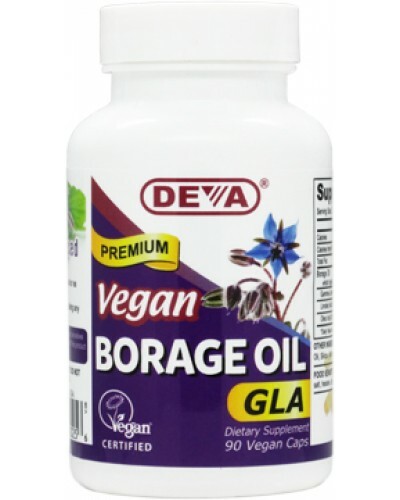 Remember all DEVA Products are 100% vegan, vegetarian and are registered with the Vegan Society, the non-profit organization that actually invented the word "vegan". Free of yeast, wheat, gluten, starch, sugar, salt, hexane, dairy, egg, fish, artificial color or fragrance; animal products, byproducts or derivatives. Chilton FH, Rudel LL, Parks JS, Arm JP, Seeds MC. Am J Clin Nutr. 2008 Feb;87(2):498S-503S. Review. Mhamdi B, Aidi Wannes W, Marzouk B.
Biochemical evaluation of borage (Borago officinalis) rosette leaves through their essential oil and fatty acid composition. Ital J Biochem. 2007 Jun;56(2):176-9.